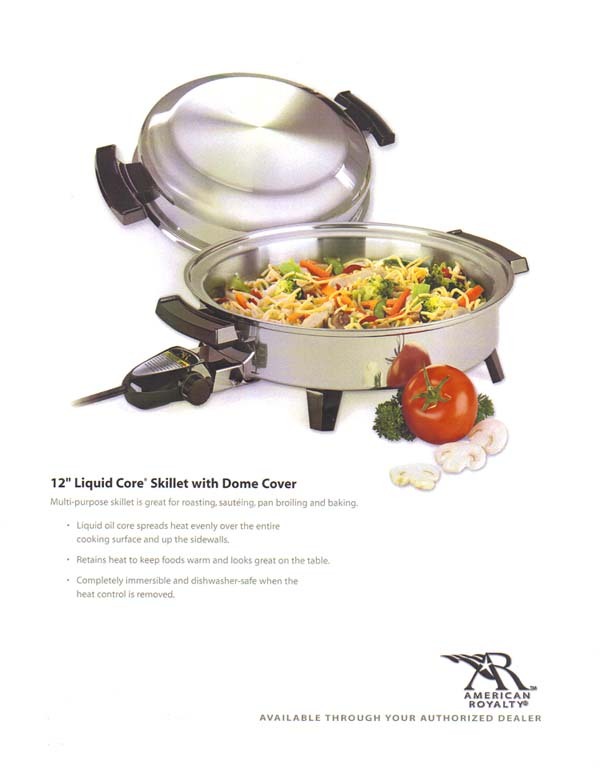 This skillet is 18/10 #10 stainless steel with a 12" diameter and dome cover. It comes with Canadian CSA electrical cord. We enjoy the even heat is gives everything we cook in it from a Roast Beef, to a pizza, to melting chocolate, to making pineapple upside-down cake.